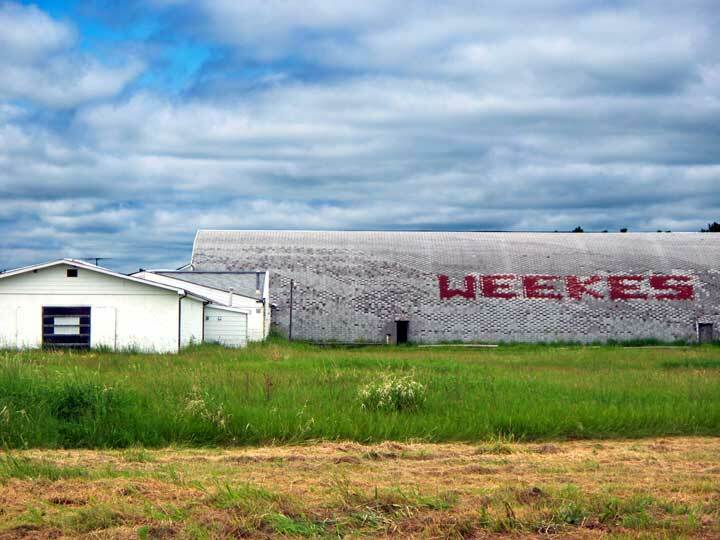 When I moved my family to Weekes in the fall of 1973 I knew I was in a special place when I discovered how the community was able to put projects together, seemingly effortlessly, but it was due to practice and teamwork. At the time, the community skating rink was an outdoor affair, behind the busy curling rink. The community recreation board began a series of meetings to figure out how a community as small as they were, could build a closed in modern arena. The plan was a simple one, obtain from the government cutting rights to the forest nearby for timber and market the product to raise money for the project. At that time, there were also a number of make work provincial and federal plans, to stimulate local economy and provide much needed employment. By working every grant and every government project, it got to the point that politicians would call up the Recreation Board wondering why they had not applied for this or that grant. In two years Weekes had an outstanding rink. It was paid for with the hard work of the volunteers who built the structure and paid for with their hard work in handling grants and selling forest products. Since then the rink grew to include a large hall, and one of Saskatchewan's best natural ice curling rinks. I was proud to have lived and worked in Weekes and always recognised that because of the people in Weekes, my three years there as their principal was the best three years of my career. Well time has passed and the roofing on the community centre is definitely showing its age. So in typical Weekes fashion a new scheme has been developed to pay for the reshingling of the building. Big Sky has two large hog barns in the area and one of them had a large tract of unused land that was growing nothing but weeds. The company agreed to donate that land to the project and the farmers on the sign below pitched in to plant a crop of winter wheat on the field and it is looking very good. 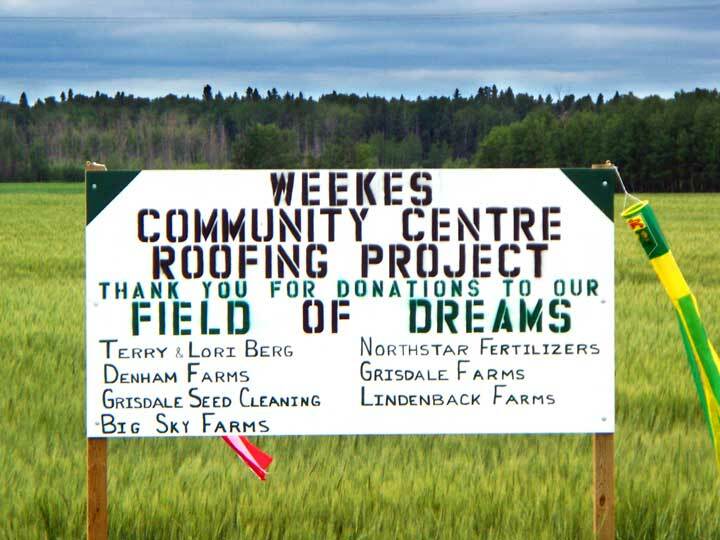 The proceeds from this crop, will provide the funds for the roofing material and volunteer labour will do the work and yet another successful community project will be completed.